Beware the Revenge of the Sixth, the Dark Side of Star Wars Day! 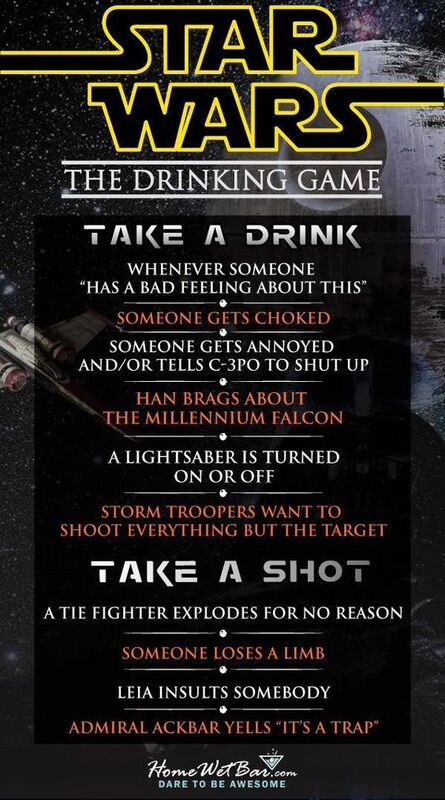 Today, in addition to posting music from the Dark Side of the Force, I'm sharing Star Wars themed drinks and a drinking game in the vein of Star Wars Drinks for Star Wars Day from three years ago. 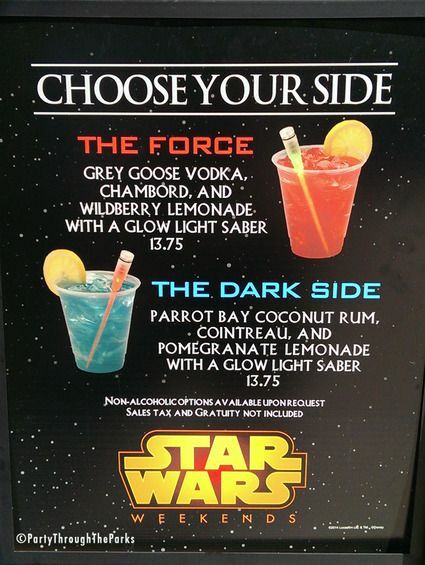 Speaking of "the Dark Side of the Force," here's an image from Pinterest showing drinks for both. Yes, those actually have been served at the Hollywood Studios park in Walt Disney World. That's not all. 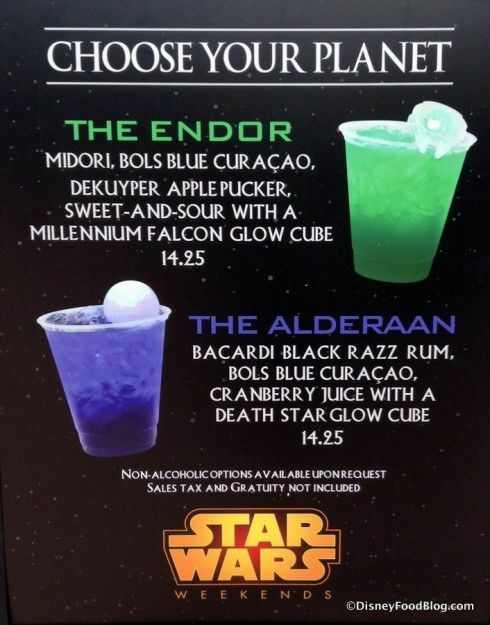 Follow over the jump for four more Star Wars drinks from Walt Disney World plus music from the Dark Side. 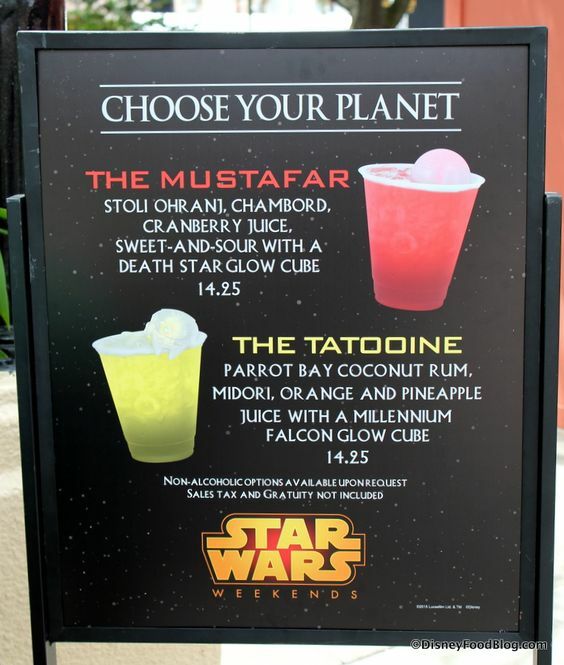 Two drinks for planets from the original trilogy, followed by two planets that appear in the prequels (Tatooine appears in both). Finally, here is the music from "The Last Jedi" I found that best represented the Dark Side, Revisiting Snoke by John Williams. When you meet the Buddha on the road, kill him; "The Last Jedi" tried it three times and succeeded twice, including with Snoke. That's enough of Star Wars. I plan on writing the next post about "Black Panther" vs. "Wonder Woman" at the Saturn Awards. Stay tuned.